Voters in Afghanistan turned out in higher numbers than expected for Saturday's presidential election, resulting in extended voting hours. The Taliban had vowed to disrupt the electoral process with violent attacks throughout the day, according to The New York Times. Although one-eighth of all polling stations had to remain closed due to threats, however, the promise of mass violence did **t materialize. 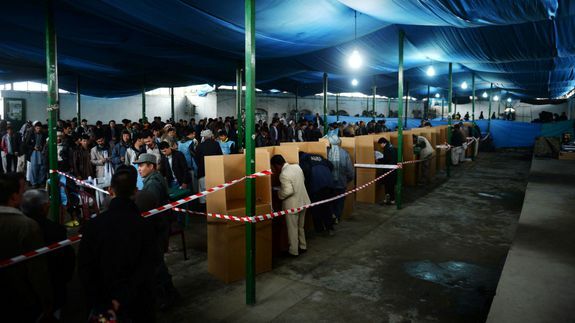 Instead, Afghans lined up in the cold rain even before voting centers opened at 7 a.m. local time.